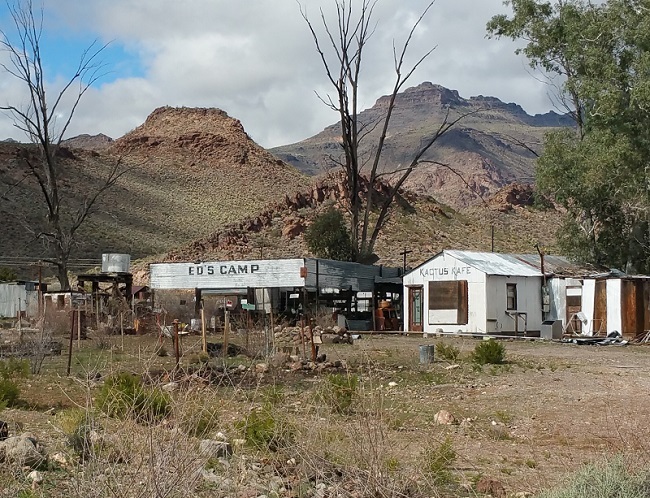 After crossing into Arizona I exited the I-40 and drove northward along a winding, mountainous stretch of Route 66 toward the mining ghost town of Oatman. 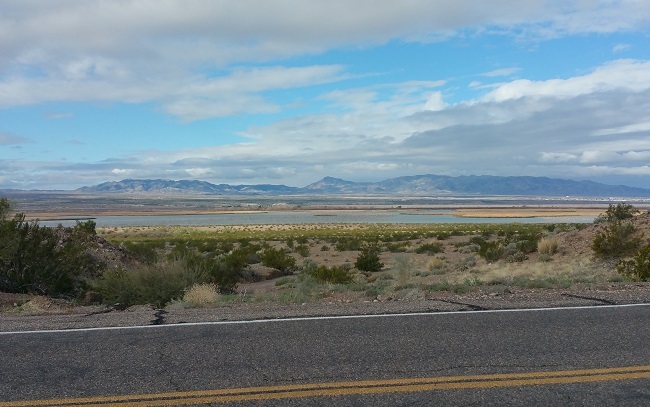 It was a perfect day to enjoy Arizona's beautiful landscapes. It had rained a bit in the early morning, and low clouds still hugged the mountains. I passed a few interesting businesses along the way. I stopped to check out an industrial site that looked like it might be abandoned, but it wasn't. 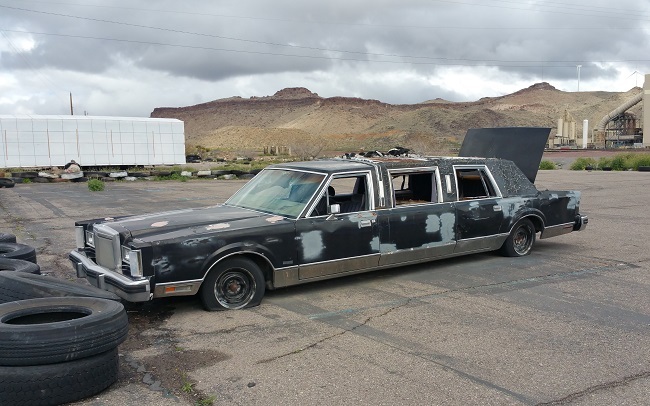 As a consolation prize, I got a pic of an old limo parked nearby. As I planned my route into Arizona the previous night, I realized I had only a week and a half before I needed to be back in L.A. I wouldn't have time to visit all the places I'd plotted on my Urban Exploration map, and would have to forgo the ones that were too far out of the way. Disappointing as it was, it will give me a great excuse to plan another urbex road trip sometime in the future. 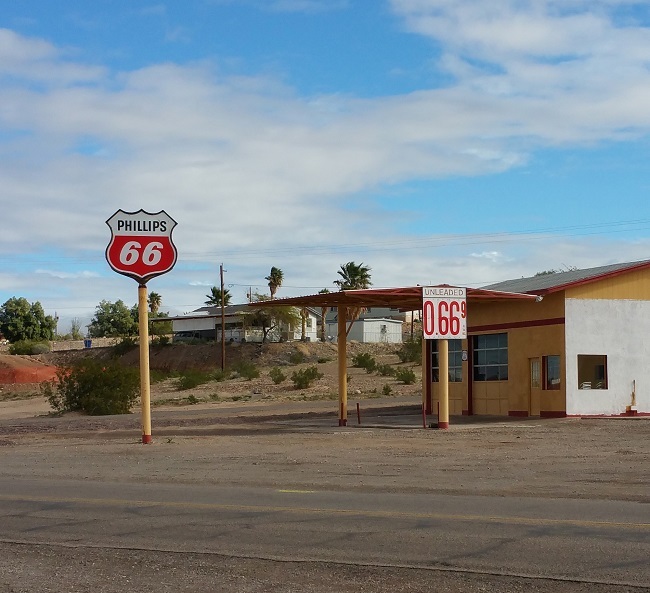 There were so many interesting abandoned places in Arizona, I could easily have spent the rest of my trip there. 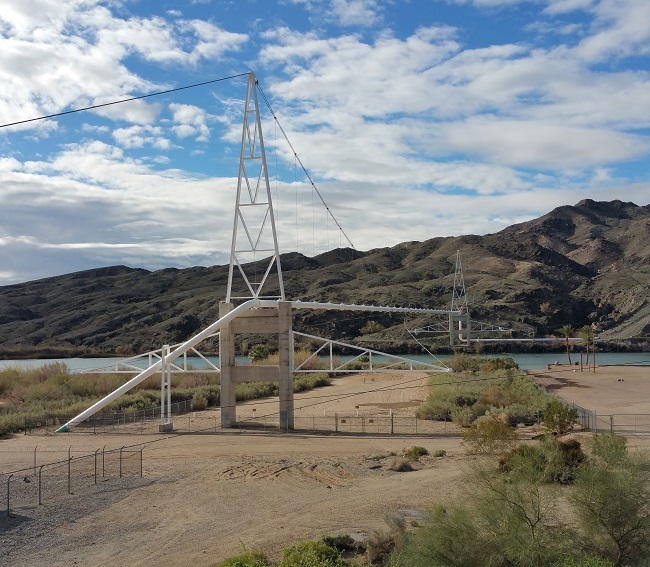 But my sights were set on Deer Trail Colorado, the home of the only accessible Titan Missile silo complex, and one of the main reasons I took the road trip in the first place. And there were places I wanted to explore in New Mexico and Utah. 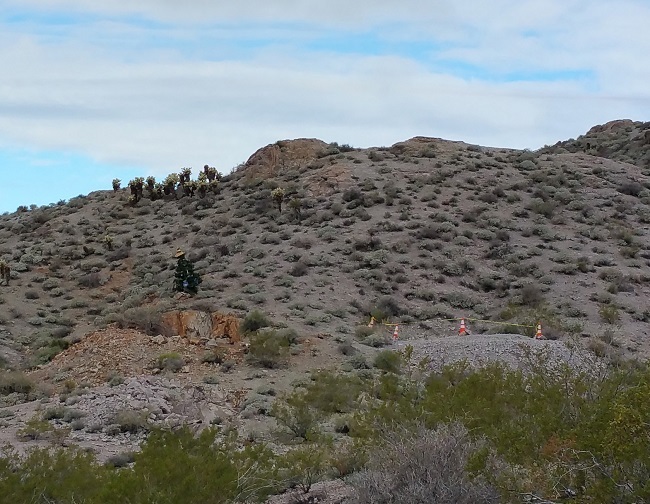 On the way to Oatman I saw a random Christmas tree on the side of a hill, so I stopped to investigate. 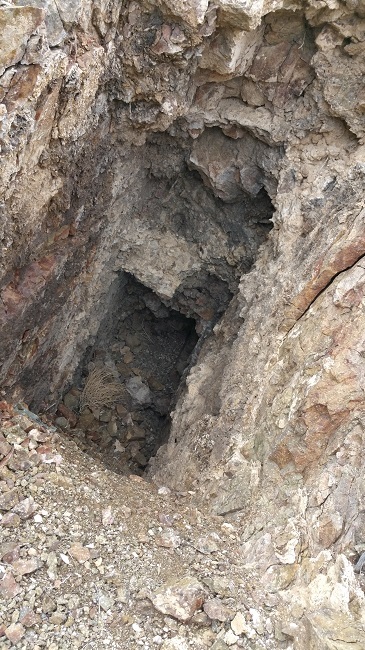 The tree stood directly behind a vertical mine shaft, which was unmarked and wide open. Yellow caution tape and orange cones surrounded another nearby shaft. 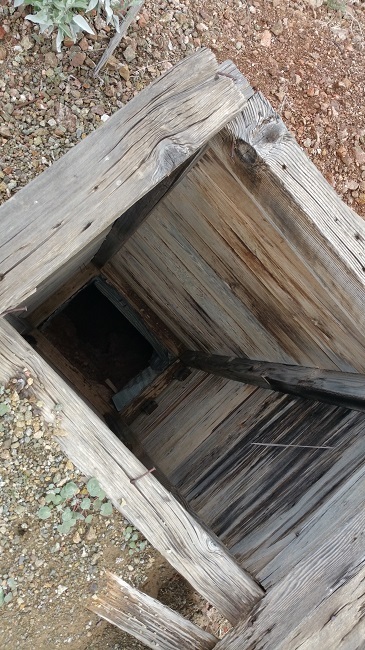 Vertical mine shafts scare the heck out of me because they are usually very deep and narrow. The openings are even with the ground and easy to overlook if you're not watching where you're going. I thought about how a photographer, lining up a shot, might take a few steps backwards and end up tumbling into the abyss. 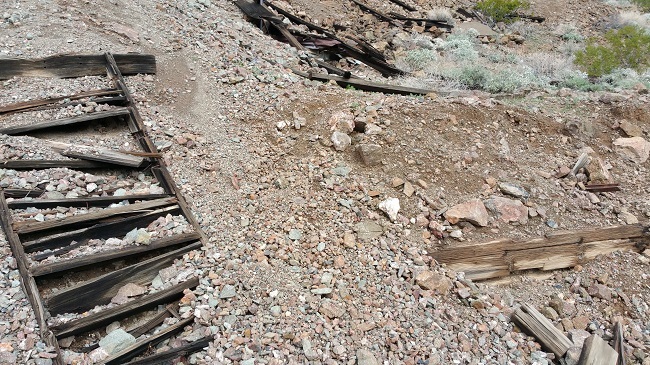 I stood atop the hill, looking out over miles of rocky terrain, when I noticed a distant heap of mine tailings (discarded fragments of rock that are left over after the valuable minerals have been separated out). 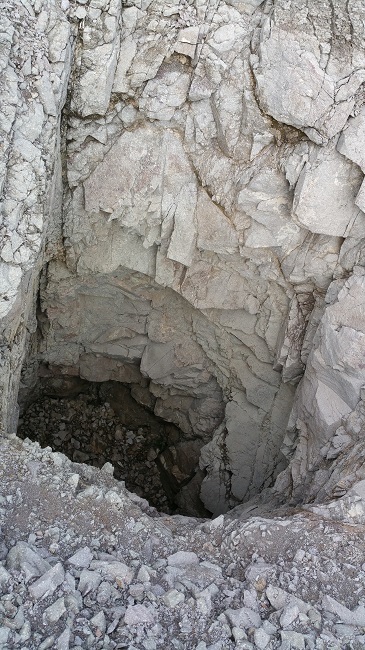 Tailings are usually found in large heaps outside of the mines from which they were excavated. 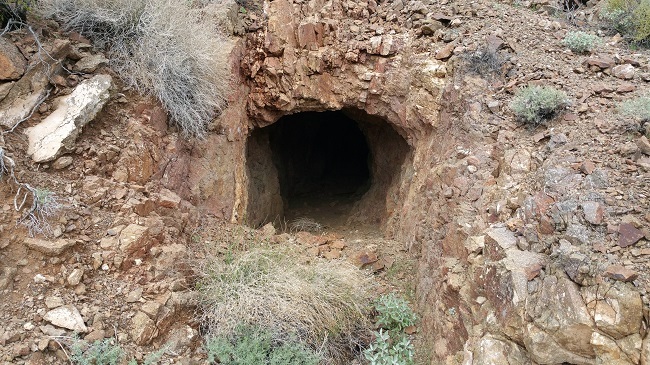 I hadn't seen any mines, other than the two by the Christmas tree, and hoped the tailings might lead me to a horizontal mine I could walk into. The tailing pile was much farther than it looked, and I climbed up and down some steep rocky hills to get to it. 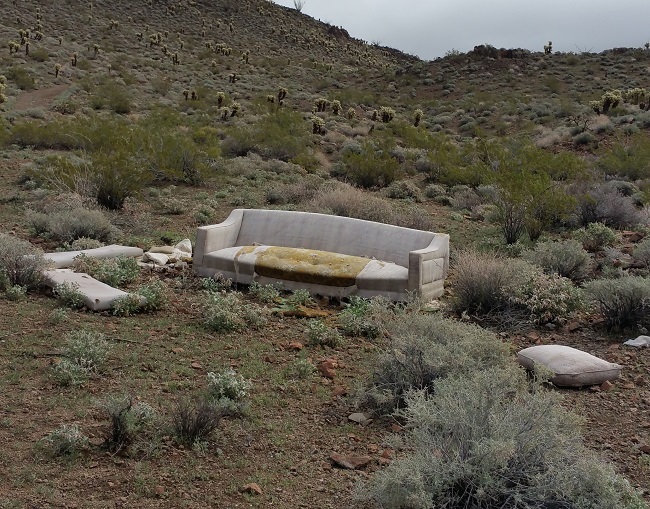 I happened upon a discarded couch, but resisted the urge to stop and rest. 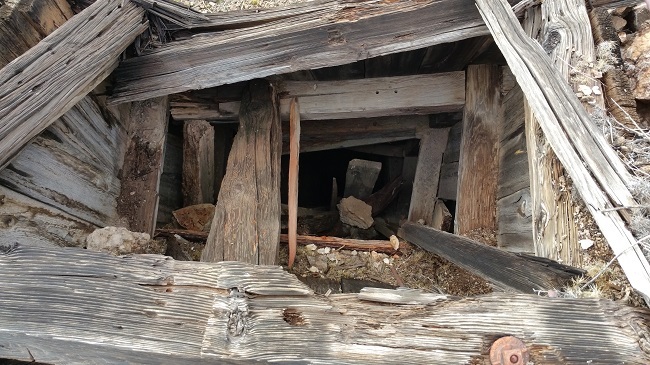 I reached the tailings and found that they came from another vertical mine shaft. 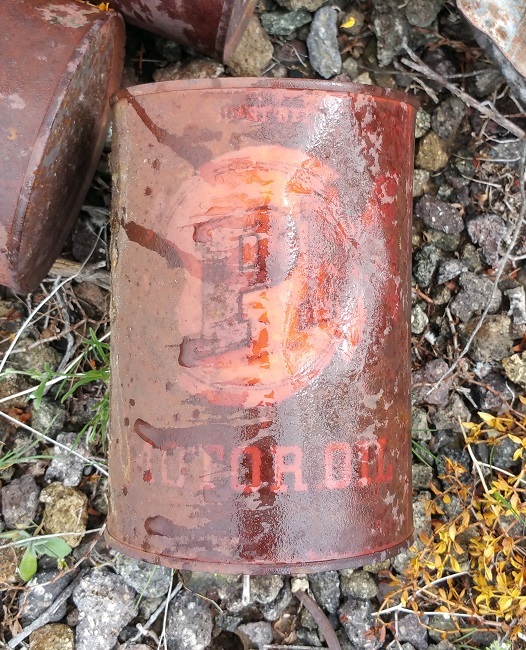 The site was littered with rusty metal scraps from long-gone equipment and the remnants of collapsed wooden support structures. 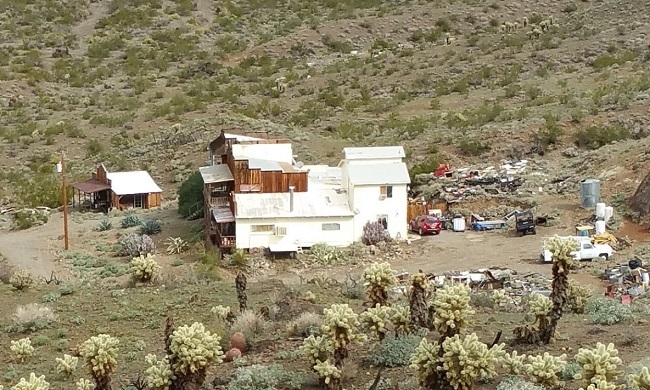 The hill offered a good view of the surrounding area, including several more mines and a run-down homestead that appeared occupied. I climbed down the hill and saw signs warning people away from the homestead, but not the mines. Not wanting to get kicked off the land, I kept my distance. 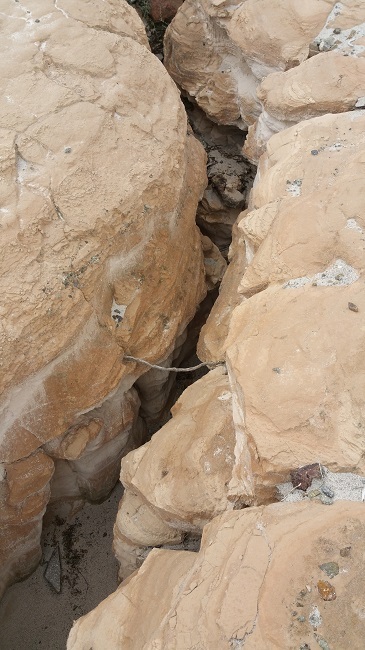 I was tired from crossing the rough terrain with the sun beating down on me, but my adrenaline was pumping so I roamed the countryside, determined to check out every mine within eye shot. 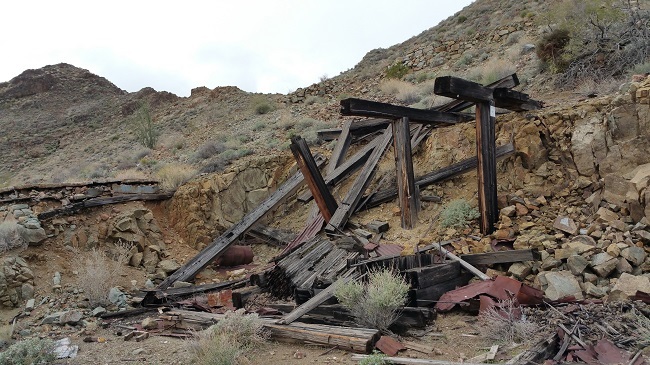 Most were vertical shafts accompanied by the remains of wooden headframes and rusted metal junk. I found two horizontal mines and strolled through both of them. The first only went back about 20 feet. 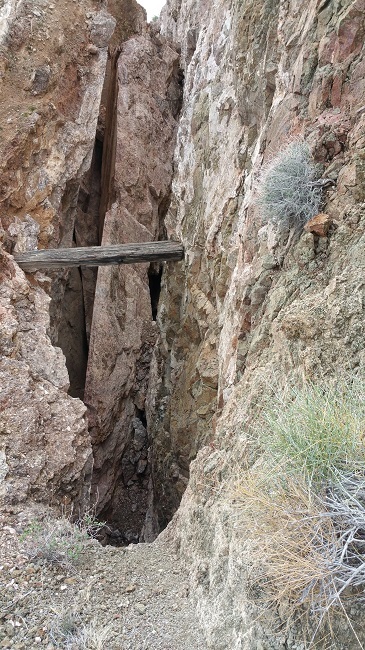 The second mine extended several hundred feet and connected with a tight vertical chasm I had seen earlier. 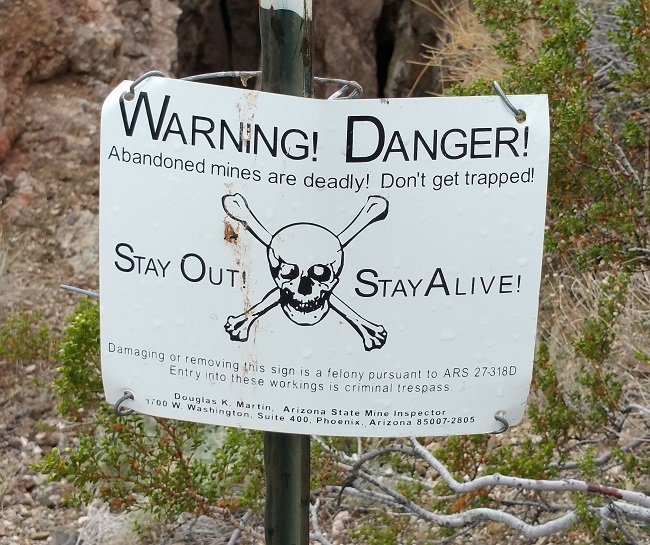 Near the end of my hike, I came to a mine with a warning sign posted at its entrance. 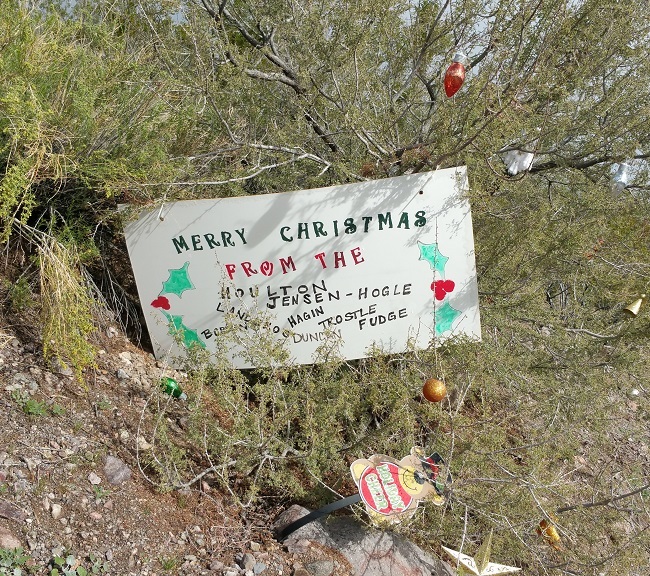 On the way back to the car, I passed a sign left by the same people who had put up the Christmas tree that caused me to stop in the first place. It was a fitting bookend to my hike. I also happened past a few wild burros. One stared at me, occasionally making loud noises, which I assumed were meant to intimidate me. I kept a respectful distance. 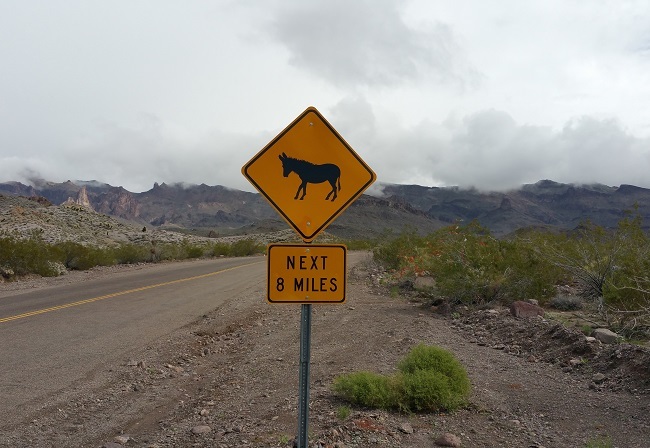 There are many wild burros in the area, descended from those kept by miners as pack animals. 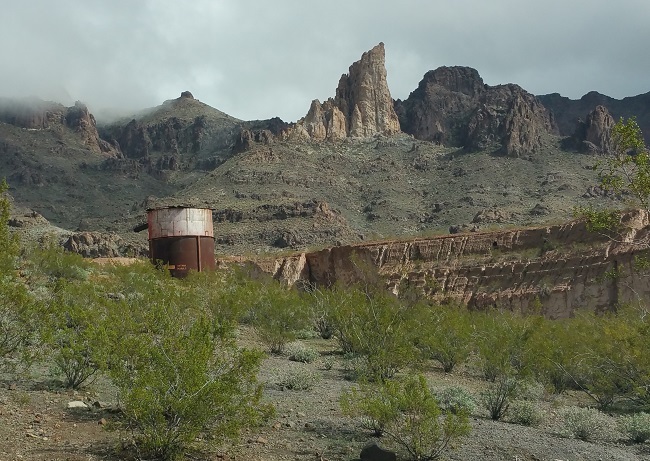 I got back to the car and continued toward Oatman. 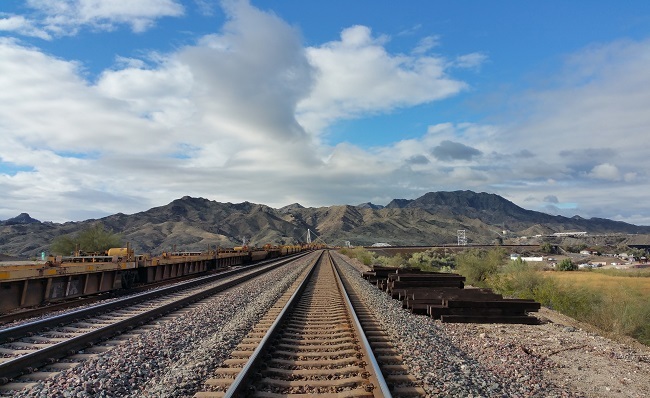 To keep this post from getting ridiculously long, I'll tell you all about Oatman next week. 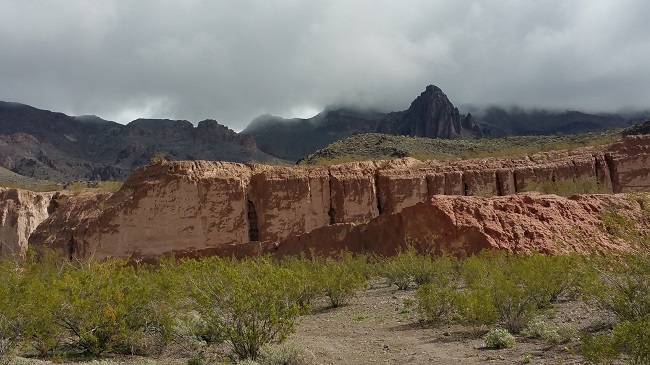 Next time you're in Arizona be careful for the mountains and terrain. Rattle snakes and scorpions are very good at hiding, especially in dark places. Thanks for the tip! I'll definitely keep that in mind.